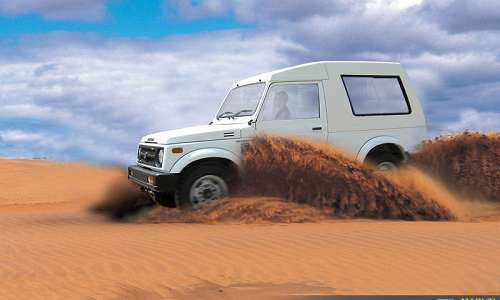 Maruti Suzuki Gypsy, a nice and wonderful car which lavishly follows with a golden saying “old is Gold”. The only thing is with the following or upcoming trend of the market it becomes important to adopt the new policies of the market to keep oneself up in the market. This is a car which substituted the old traditional Jeep. With time everything needs improvement and adaptations, which are missing in this vehicle; it has not changed a bit of it since it was launched. Now it’s the high time for it to come up with some beautiful modifications which can make Maruti Gypsy, a new version of it. Current Maruti Gypsy Price is in the range of 5.71 lakh till 6.14 as per the high hand version of it. This might become a cause for many people to think a lot before buying this vehicle. If they can come with better looks great looks of it in the form of facelift. Elongated head lights from the either corners will be an added advantage to it. Front grill can be made more dazzling which can cater the crowd much more than expected. Then Indicator lights can be made more in fish like style instead of the rectangular box type old fashioned pattern. 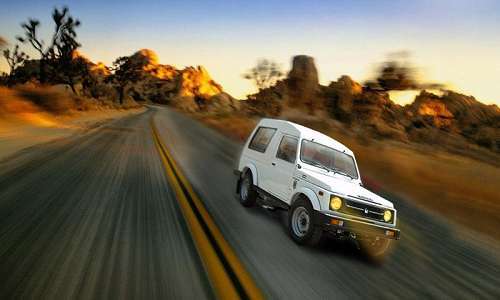 Maruti Gypsy Features includes a variety of comfortable features like Windshield washer and two-speed wiper, Hazard warning light, Hydraulic clutch in cooling fan, Distributor-less ignition, Multi-function levers. In terms of exterior it comprises of Driver's side rear view mirror, Spare wheel cover, Front footstep assembly, Foldable Front windscreen, Fibre Reinforced Plastic, Removable canvas top. Moving on to the interior of Gypsy we can find Fabric upholstery in hard top, Vanity mirror on left sunvisor, Reclining and sliding front seats, Adjustable head restraints, Front package tray, Lockable glove compartment, Floor carpet, Steering lock, Front seat walk-in assembly (co-driver). This is the current look of the gypsy. But yes there are still a lot of scope in the comfort area where maruti Gypsy can make improvements with a passion and stunning looks. Currently its being used only for defense purpose like police and military purposes. Coming down to the engine specifications, we can find that it is available in both the variants that is petrol and diesel variant. The current Gypsy comprises of G13BB MPFI 16 valve gasoline with a phenomenal displacement of 1298cc which supplies a power of 80 Ps at 6000 rpm. It gives it a torque of the capacity of 103Nm at 4500rpm which is a real great torque to pull up the machinery to catch any one of this category. It comprises of 4 cylinders with inline configuration and 4 valves per cylinder which enhance its capacity. Maruti Gypsy Pictures reveal that it’s been a great vehicle since it has launched which is quite evident from its current holding in the market till now as many other models of Maruti came and stopped their production, but this is that vehicle which has been in the market from a big time and still solving the purpose of many people. It caters a different segment of people and that’s why it’s dire need for it to make some adaptations by which its fan does not lose their interest in it and make it more noticeable and lovely vehicle to have.